Description: Darice Jewelry Designer Snake Chains are highly flexible with a solid appearance, reminiscent of a snake skin due to a slight zigzag effect. It has a virtually closed surface profile which makes for a very elegant and flexible chain perfect for displaying a pendant. 1.5 mm x 18 inch. Silver Plated. 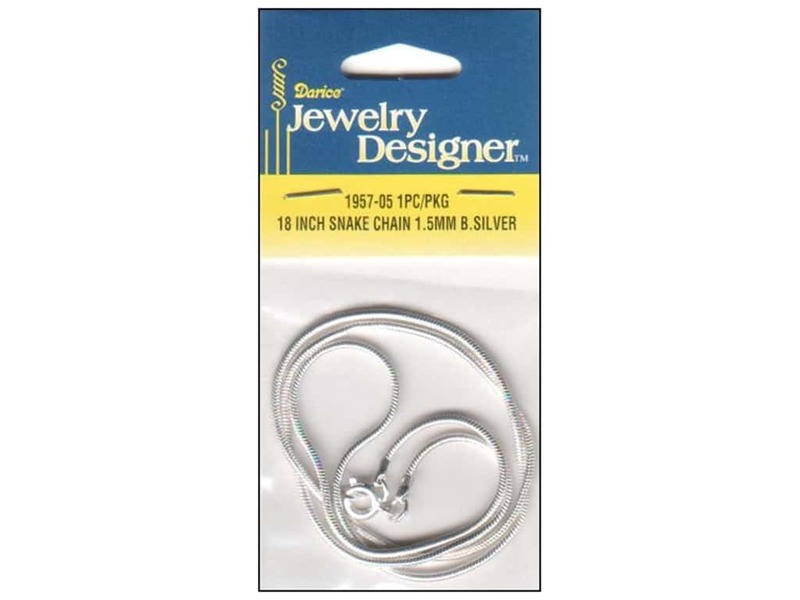 Darice JD Chain 18" Snake 1.5mm Bright Silver 1pc -- CreateForLess 5.00 out of 5 based on 1 ratings. 1 user reviews.